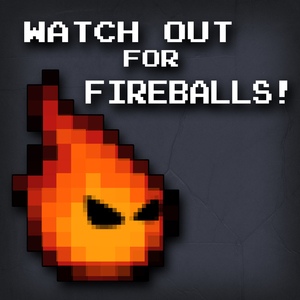 Co-Host of Watch Out for Fireballs! 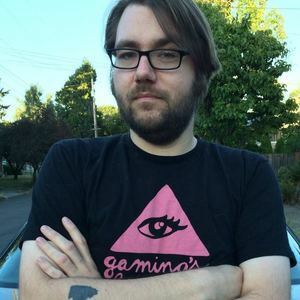 Gary Butterfield is an author, musician, and the host of Check It Out, Comrade!, Bonfireside Chat, Watch Out for Fireballs!, and others. Buy his book, Souls of Darkness. Gary Butterfield has hosted 140 Episodes. Gary Butterfield and Kole Ross stomp through Dead Space. Gary Butterfield and Kole Ross read your responses to Tomb Raider. Gary Butterfield and Kole Ross rise to talk about Tomb Raider (1996). Gary Butterfield and Kole Ross read your fond memories of Nintendo Power and other video game magazines. Gary Butterfield and Kole Ross thumb through the history of Nintendo Power, and visit some other game magazines along the way. Gary Butterfield and Kole Ross read your responses to Shadow of Destiny / Shadow of Memories. Gary Butterfield and Kole Ross will always have been talking about Shadow of Destiny (or also Shadow of Memories). Gary Butterfield and Kole Ross read your responses to Castlevania: Symphony of the Night. Gary Butterfield and Kole Ross delve through Castlevania: Symphony of the Night for our 150th episode spectacular! Gary Butterfield and Kole Ross take a vacation to the present to talk about Dishonored 2. Gary Butterfield and Kole Ross read your responses to Dishonored 2. Gary Butterfield and Kole Ross read your responses to Mega Man 2 and Mega Man 3. Gary Butterfield and Kole Ross flash through Mega Man 2 and Mega Man 2. Gary Butterfield and Kole Ross read your responses to Neverwinter Nights 2 and Mask of the Betrayer. Gary Butterfield and Kole Ross absorb the second portion of Mask of the Betrayer. Gary Butterfield and Kole Ross devour the first half of Mask of the Betrayer, the first expansion pack for Neverwinter Nights 2.